One of the many additional benefits of traveling all over Illinois to visit various haunts and yard displays is the occasional discovery of something completely unknown. 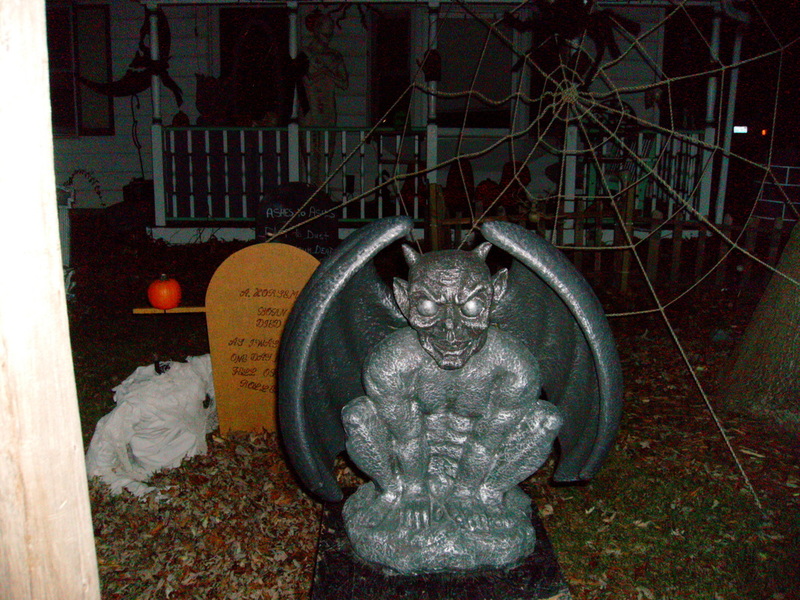 Throughout the years the Tourers have been doing this, we have come across several haunts and displays that we were not aware of. One such display was one that we encountered in Romeoville, while touring haunts like Halloween on Romeo Road and Necropolis on Nippert. 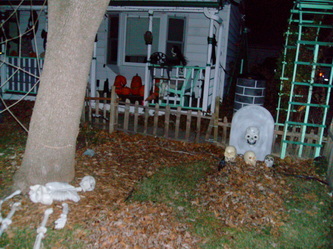 When driving from one to another, we came across this yard display and thought it was good enough to warrant a look. Although all of the props were static, it still had some interesting items, and the overall theme appeared to be a combination of humorous and scary, which might be fun for those who have younger children. 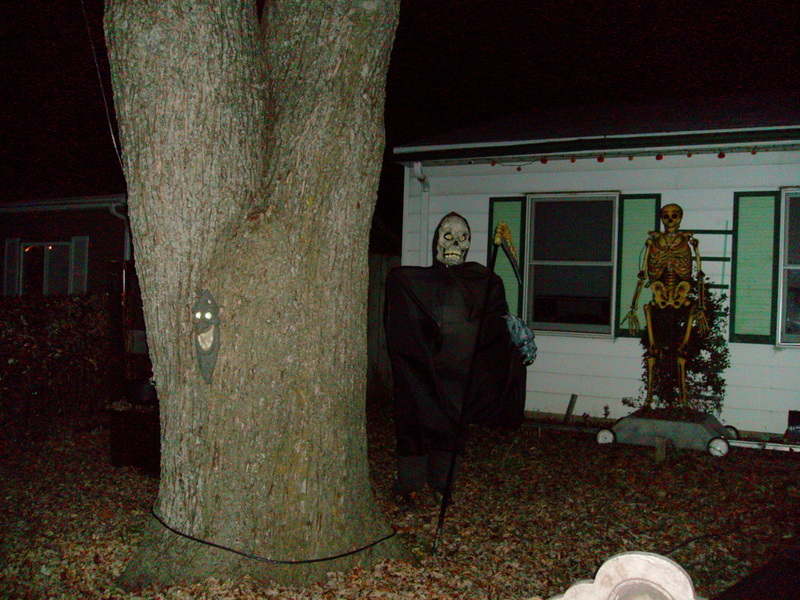 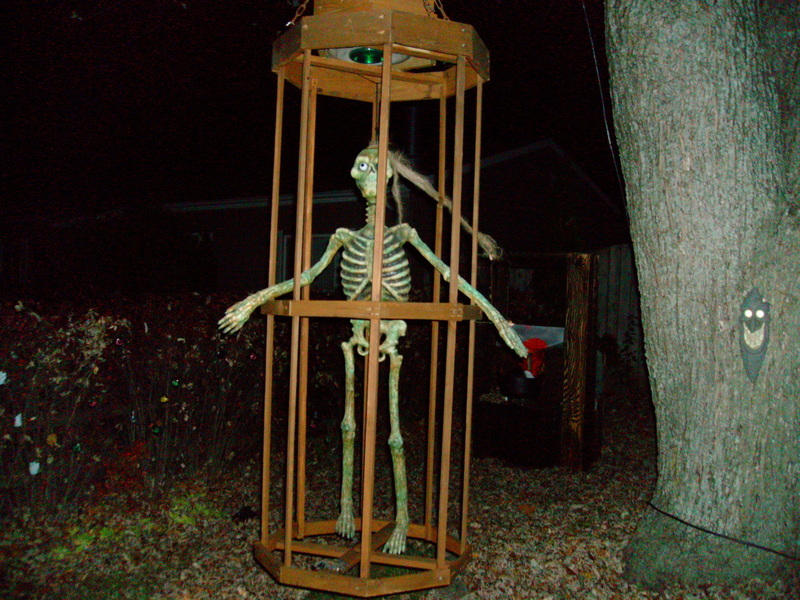 Some standout items included a skeleton in a cage hanging from a tree, the Grim Reaper hiding behind a tree, and two gargolyes - one scary and one goofy. 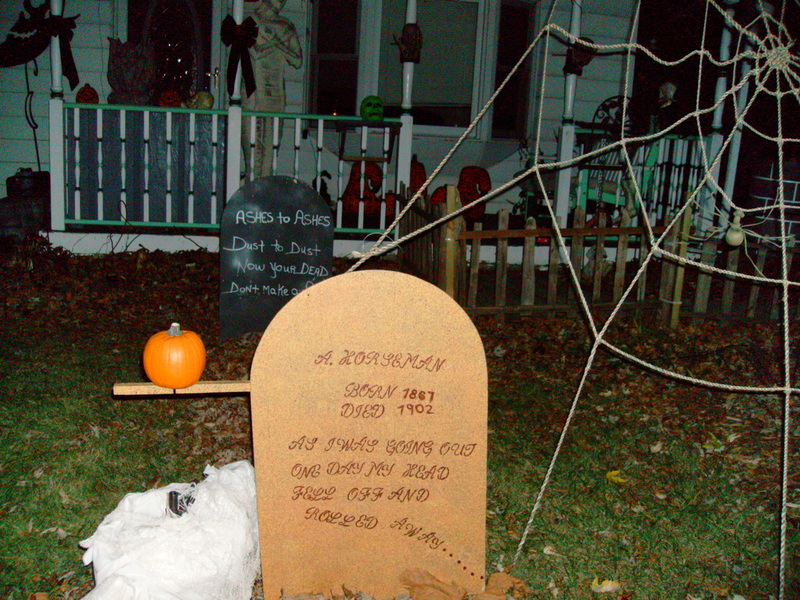 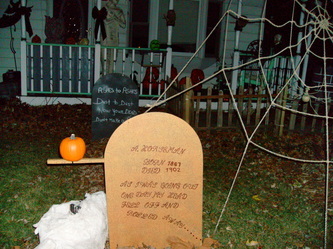 In addition, there were a couple of homemade tombstones with humorous epitaths on them, and a life size mummy on the porch. 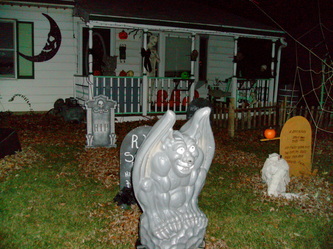 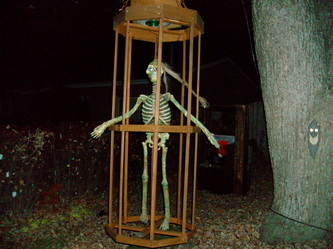 The entire display was complemented with various spiders, skulls, and Halloween lights. 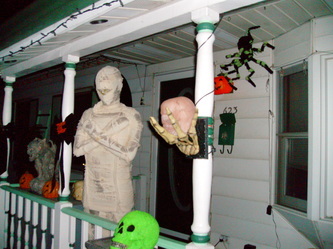 All in all, a nice little display, and a bonus during one of our regular tours.